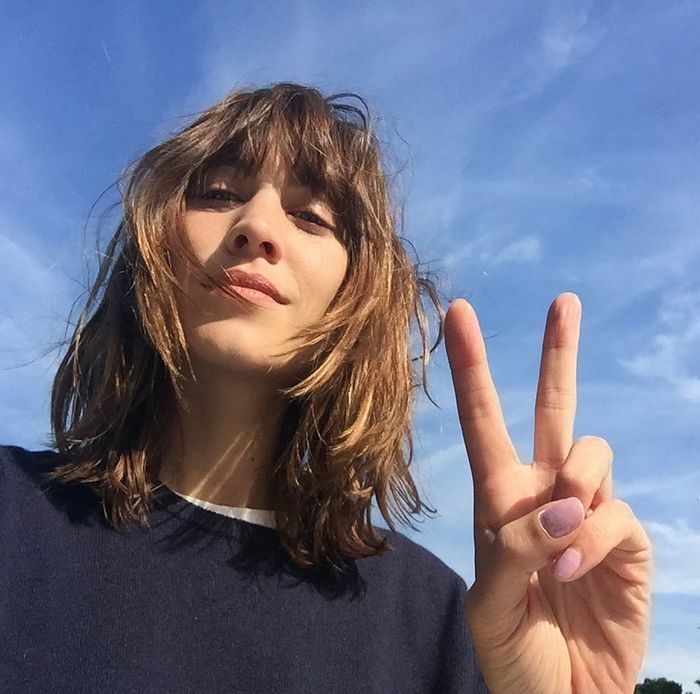 Alexa Chung has been quite vocal about her love of a simple crew-neck navy blue jumper. This is apparently the thing she buys the most and therefore has been wearing for decades. A navy jumper might sound a little boring, but it's an easy way to make any outfit look a little more Alexa (which should also be read as timeless, classic or enviably stylish). She knots them around her shoulders, wears them over her most fabulous dresses to fashion week and even puts them on in the height of summer in NYC. Style Notes: Alexa looks like she's really to board a yacht in her blue-and-white printed silk shirt, white cropped jeans and jumper thrown around her shoulders. Style Notes: This Alexa outfit is a classic and an autumn winner. You can't beat a cable-knit navy jumper worn over a floral maxi. Style Notes: This is an oldie but a goodie. A navy jumper can make your smartest items like a printed skirt feel a little more relaxed and London. Style Notes: Alexa is a big fan of the preppy jumper knot, and she makes a navy knit part of her summer wardrobe too. Next up, see all of Alexa Chung's best outfits to date.